This is the moment a Wigan woman appeared on national television to confront the man who abused her. Sara Worrall went on The Jeremy Kyle Show on ITV this morning (Monday) to speak to her stepfather Gordon Heaton, who indecently assaulted her as a youngster. 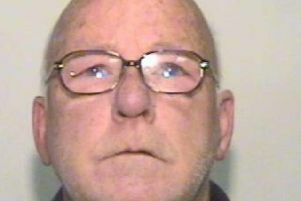 Heaton, 75, was jailed for 11 months last December at Liverpool Crown Court for indecently assaulting Sara when she was just 10-years-old. He pleaded guilty at first but then applied to the court to change his plea, which was rejected. He had a previous similar conviction in 1964. Speaking on The Jeremy Kyle Show, Sara said Heaton threatened to have her put in care if she told anyone what had happened. Sara said she turned to drink and drugs. Years later when Sara saw Heaton had a photograph of her own son, she came forward and told her mother what had happened. There were boos from the audience as Heaton was introduced on stage. He denied abusing Sara and a note on the screen said he had pleaded guilty as he believed it would result in a better outcome for the case. Sara repeatedly asked why he had abused her, but he continued to deny it. There were heated exchanges on stage between Sara, Heaton and family members, with security guards stepping between them at times. Jeremy Kyle said he did not believe what Heaton said.